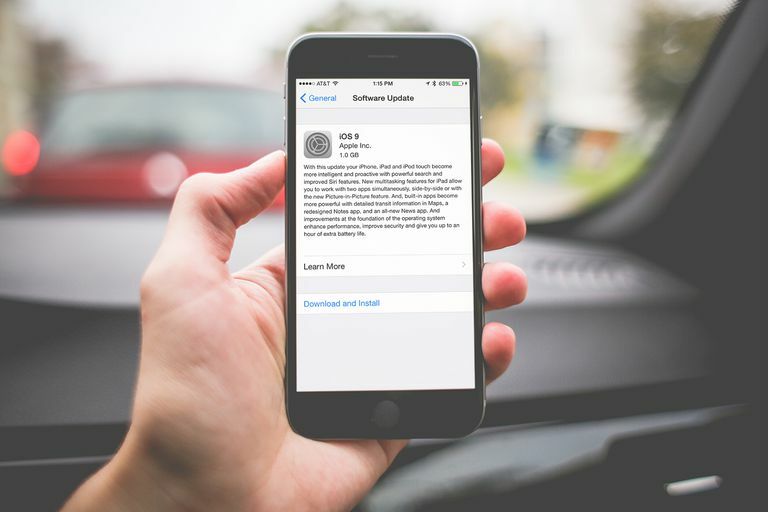 When Apple releases a new update to the iOS — the operating system that runs the iPhone, iPod touch, and iPad — it's a good idea to install it. Upgrades to the iOS deliver bug fixes, interface tweaks, and major new features. The release of a major new version of the iOS is usually an event that's widely discussed in many places, so you probably won't be surprised by its release. That's not always true of smaller releases, but they can be just as important. Upgrading to the latest version of the iOS can be done in two ways: through iTunes or directly on the iPhone. To learn how to update on the iPhone, read How to Update iOS Wirelessly on the iPhone. To learn how to perform the update using iTunes, read this article. Start the process of updating the iOS by plugging your iPhone (or other iOS device) into the computer you sync it with. If iTunes doesn't automatically launch, launch it. When iTunes is open, click on the icon for your device in the top left corner to get to the device management screen. Sync your iPhone or other device with your computer. This is a key step because syncing creates a backup of all the data on your phone. You'll be glad you have that backup in case anything goes wrong with the upgrade. Those sorts of errors aren't common, but you should always have a backup. When the sync is complete, look at the top of the iPhone management screen. You'll see what version of the iOS your device is running and, if there's a new version, a message telling you about it. Beneath that is a button labelled Update. Click it to begin the update. In the window that pops up, click Download Only to download the software for a later update or Download and Install to update now (I recommend this option in most cases). After you've made your choice about downloading, iTunes pops up another window that contains information about the new features, fixes, and changes the new version of the iOS offers. Read it (if you want; you can probably skip it without too much worry) and then click Next. Next, you need to agree to the user license agreement. Read it if you'd like (though I only recommend it if you're very interested in the law or can't sleep). More likely, you should just click Agree. Once you've agreed to the licensing terms, the update will begin to download. Click on the button in the top right corner of iTunes to track the progress of the download, and how much time is left until it's finished. Once the OS update downloads, it will be automatically installed on your iPhone or other device. You may need to click through a couple more windows in iTunes. If so, just follow the instructions. When the installation is complete, your device will automatically restart — and voila, you'll be running the latest software for your phone! Depending on how much free storage space you have on your device, you may get a warning saying you don't have enough room to install the update. If you get that warning, check out How to Update iPhone When You Don't Have Enough Room for tips on how to solve the problem. Most of the steps you've taken in this process were in iTunes, but to complete an iOS update, there are a few things you'll need to do on your iPhone or other device. The exact steps depend on the version of the iOS you've updated to and what it requires. Generally speaking, though, you'll need to accept licensing terms, see information about the update's new features, and/or configure new settings. Just follow the onscreen prompts and in just a few taps, you'll be using your newly upgraded device.